I must have talked about my dislike for museums time and again but what else can you do on a typically rainy Helsinki evening except for coffee-shop hopping. Being a regular at the latter, I decided to do myself a favour a couple of days back and went to explore the much talked about Helsinki Design Museum with one of those meetup groups I had joined ages ago. Those who don’t know what these meetup groups do, just log on to www.meetup.com and discover innumerable fun activities going on in your very own city. This was my first meet up and, I must admit, meeting a lot of strangers from different parts of the globe while exploring the city is really an eyeopening experience when it comes to your geography, cultural knowledge, and certain preconceived notions. 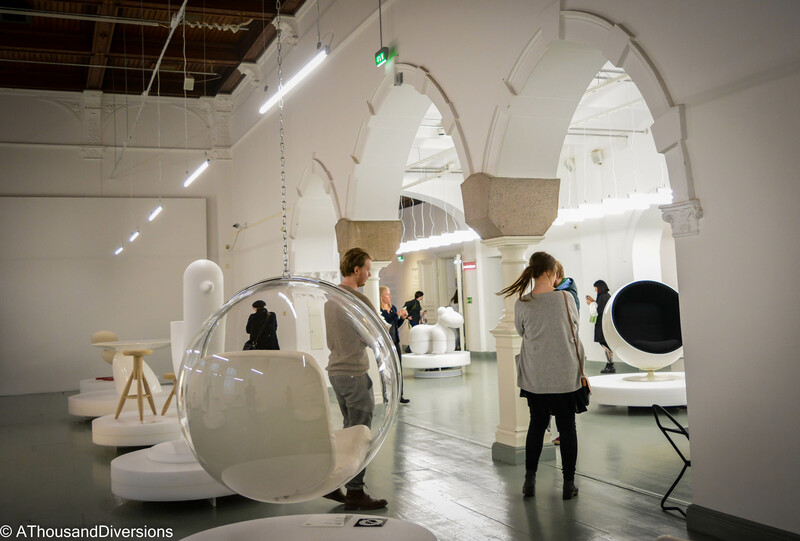 Now, coming back to the museum, a quick intro for those unaware- Finland is known to the world for its innovative as well as super impressive designs, crafts, artists and art related brands. The museum represents a fragment of the beautiful world of Finnish designs and innovations that are pure art in themselves. But, honestly speaking, I do not understand art and make no attempt. So, pardon me, if I fail to explain what I saw inside the museum. The only thing I know for sure is that I am already obsessing over some of the chairs and they make pretty pictures too! And on a more serious note, the collection at Helsinki Design Museum throws light on many phases of Finnish history of design and innovations. 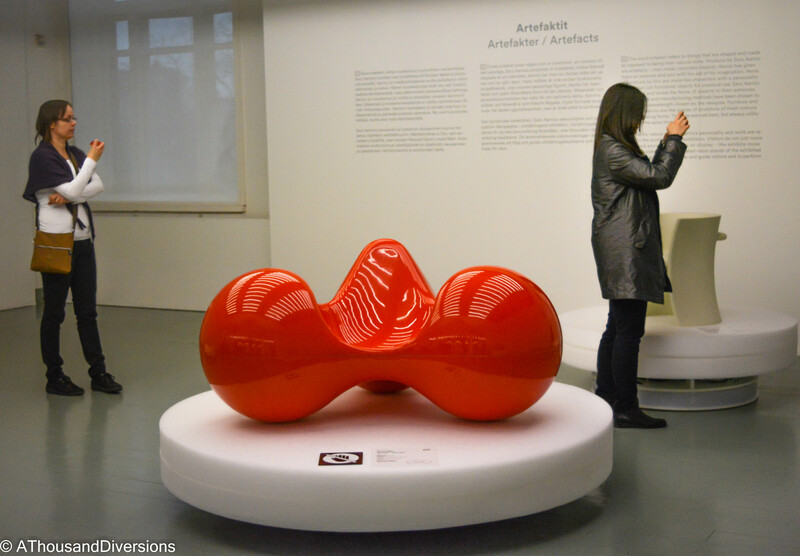 Ongoing was Retrospectiva, an exhibition by Eero Aarnio who is world famous for his Ball Chair designs. 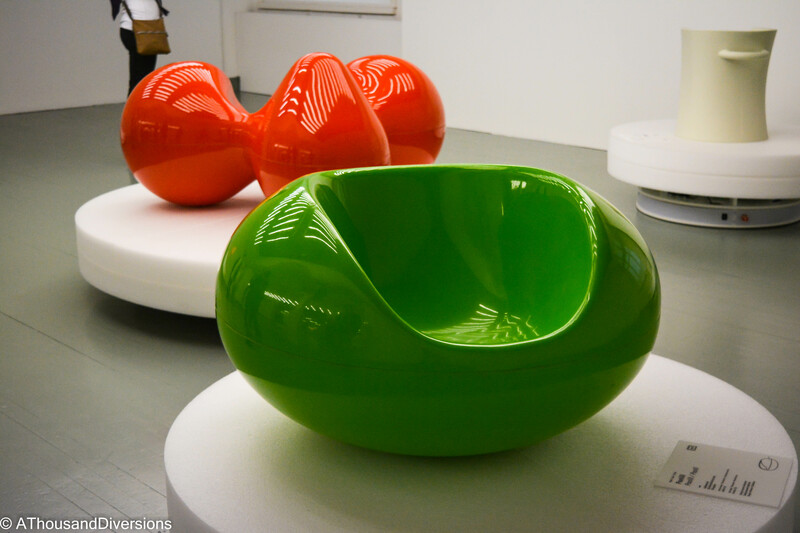 His design was first released in 1966 at the Cologne Furniture Fair and ever since he has been admired worldwide for his innovative style. 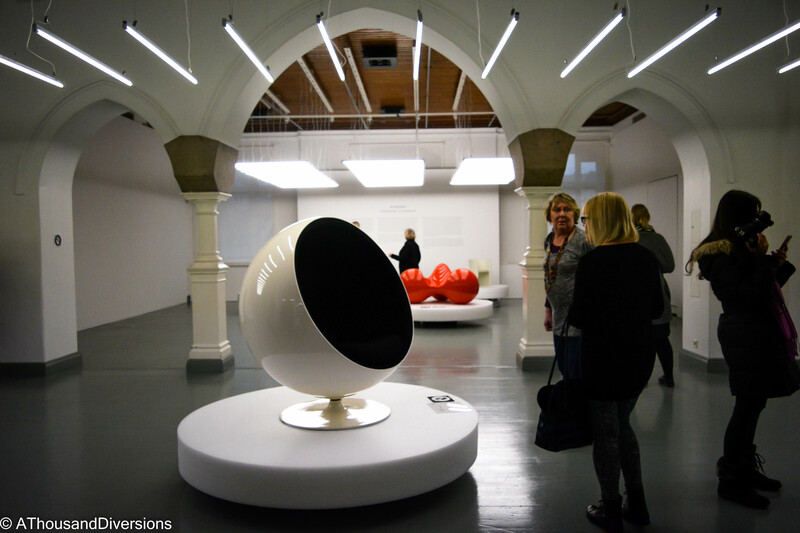 The exhibition at the museum is a comprehensive display of the octogenarian designer’s acclaimed work including furniture, lamps and other pieces of art. Apart from this exhibition, the museum has a permanent collection of innovative Finnish designs, installations and drawings. There is also a shop inside the museum where you can buy some pretty souvenirs. I managed to click some pictures of both the exhibition and the permanent collection but there weren’t substantial explanations on the subjects displayed except for a few lines or two. Hence, I am leaving all the explanations to your imaginations. Hope you still enjoy the photos.